Many of us go through life with the mindset of “when I achieve this, everything will be ok” or “when I have this, I will be happy”…” when I lose 20lbs I will feel good”. The fact of the matter is, sometimes life and its circumstances can be pretty lackluster. We spent a lot of time in the mud, and that’s how it goes. But regardless of one’s circumstances, it is possible to grow, shine and even THRIVE in the midst of the most unfavorable situations. It’s all about your perspective! 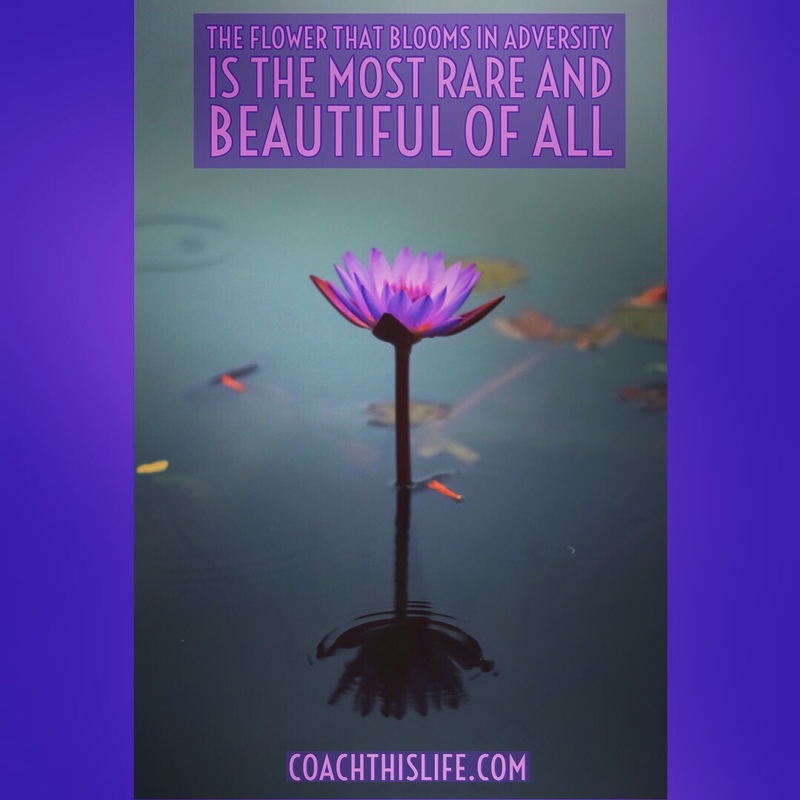 If you are stuck in the mud, it’s time to rise up and bloom!